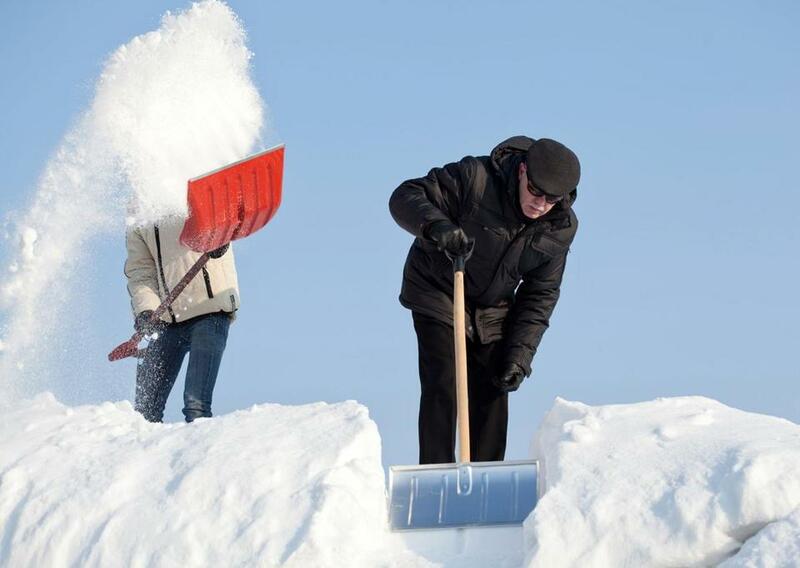 Question those offering to clear off your roof. I am hoping and praying that at the time of this publication, the winter weather will be making its exit, but having lived in Massachusetts my whole life, I know that it is quite possible to get a snowstorm this late in the game. At the risk of jinxing myself — but to aid our discussion — let’s just assume there isn’t a foot of snow on the way and we can see patches of green grass. “There’s a guy here offering to shovel off the roof,” he said. He said he did and then went on to explain why. So I called and got the answers. The price? $1,500. This seemed like a lot considering my parents own a small ranch-style home. What about the insurance? He didn’t have any. “That’s the reason why I gave your dad such a good price was that I didn’t have to pay for insurance,” he said. I didn’t agree that it was a good price, but that was his sales pitch. On behalf of my parents, I declined. Speaking of responsibility, we should talk about your duty to maintain your property. Not too long ago, we got a call from local property owners who were concerned that a large tree was going to fall on their home. They called their insurance company, which denied their request to have the tree removed. In your standard home policy, the insurance company will cover a loss if the tree falls on your home but not the cost of the work to prevent it from falling. Right now, everyone seems more concerned about ice dam damage than falling trees. Under most standard home policies, the structure will be covered if there is damage resulting from the ice dam, but your personal property won’t be unless you added a special endorsement. Hugh Fitzpatrick is the founding partner of New England Title and Fitzpatrick & Associates PC, a Tewksbury-based law firm specializing in real estate conveyancing. Send your questions to Address@globe.com.